Don’t pay $709 Now only $629! 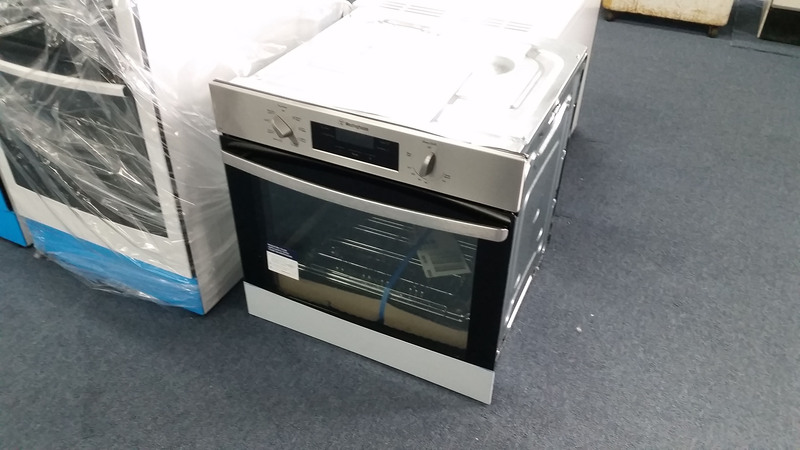 This Westinghouse WVE616S Wall Oven is a factory second appliance. These Ovens sell in Discount retailers for $709, but even though this one has no visible marks of any kind, we can offer it for the best price in Sydney. It comes with a 12 Month factory warranty, from Electrolux. The Oven is A-Grade brand new Appliance stock. It is complete, undamaged and unused. All the shelves are still packed inside. The huge Discount is because it’s unboxed! We are located at 1/28 Martha Street, Granville (clyde). Cnr of harbord street – across the freeway from the speedway. Come in and see for yourself or call us on 8868 6700, or drop us an email. Save buying a new benchtop with this Stainless Steel Surround. Westinghouse Baking Tray and Telescopic Runners Party Pack ACC124. Doug Smith Spares since 1969.